A hard-hitting documentary about the Greek crisis will have its world premiere world premiere on November 9 at the upcoming Copenhagen International Documentary Film Festival (CPH:DOX), which runs from 6–16 November 2014. Entitled Agorá, the 90-minute film is by award-winning Greek journalist and filmmaker Yorgos Avgeropoulos, who created the successful Exandas documentary series that ran on ERT public television until the station’s closure by the coalition government in June 2013. 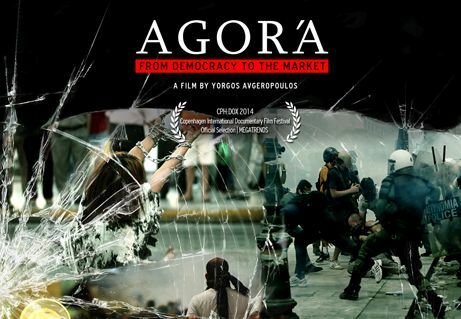 AGORA – From Democracy to the Market [Trailer] from Small Planet Productions on Vimeo. It sounded too good to be true: on Tuesday, Greece’s state-run ANA news agency announced that the government was launching a scheme that would ensure “700,000 persons” would receive a guaranteed minimum income. 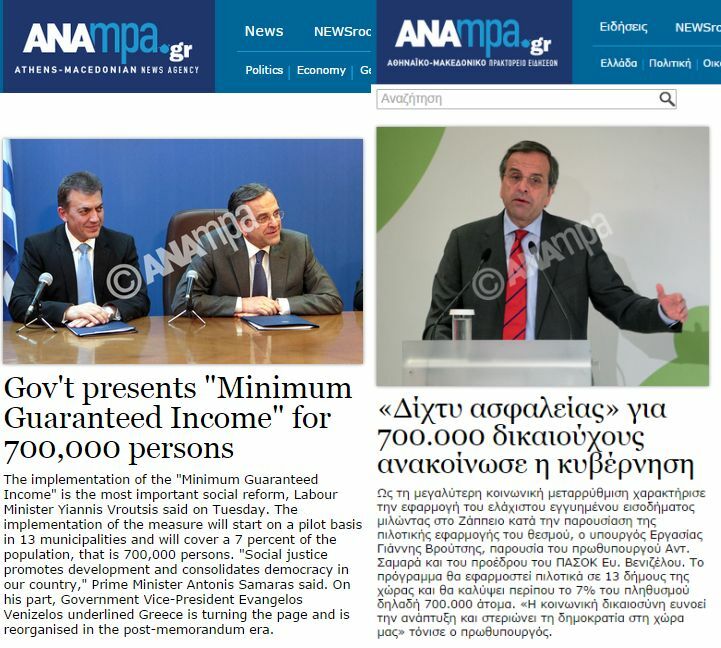 “Govt presents ‘minimum guaranteed income’ for 700,000 persons,” trumpeted the main story on ANA’s English-language site, while its parent Greek-language site declared “«Δίχτυ ασφαλείας» για 700.000 δικαιούχους ανακοίνωσε η κυβέρνηση”. On both sites, the story was illustrated with photographs of the prime minister, Antonis Samaras, who attended and spoke at the launch of the measure, as did the deputy premier, Evangelos Venizelos, and the labour minister, Yiannis Vroutsis. The death of Loukanikos, the Greek “riot” or “protest” dog that so fascinated the world’s media for his antics during austerity-fuelled disturbances in Athens city centre, has been announced. Breaking the news, Avgi, a daily newspaper affiliated with Syriza, said the dog had died peacefully, some months ago, in the home of a man who has cared for him over the years. So great was the celebrity canine’s fame that he was included in Time magazine’s top 100 personalities of 2011. The dog, who was found wandering the streets at a young age, was named “Thodoros” by the person who took him in. This is the transcript of a “Reporter’s notebook” piece I did for BBC Radio Scotland’s “Good Morning Scotland” programme that was broadcast on Saturday 4 October 2014. On 24 June 2013, Greece’s prime minister, Antonis Samaras, and his coalition partner in Pasok, Evangelos Venizelos, announced a new government. Here’s the full list. In transliterating names, I have tried to follow the versions used by the ministers themselves, although these are not always clear. He was tortured by his employer for 18 hours in a stable. When he managed to escape, he spent the next four days in a police cell. His name is Walid Tabeb. 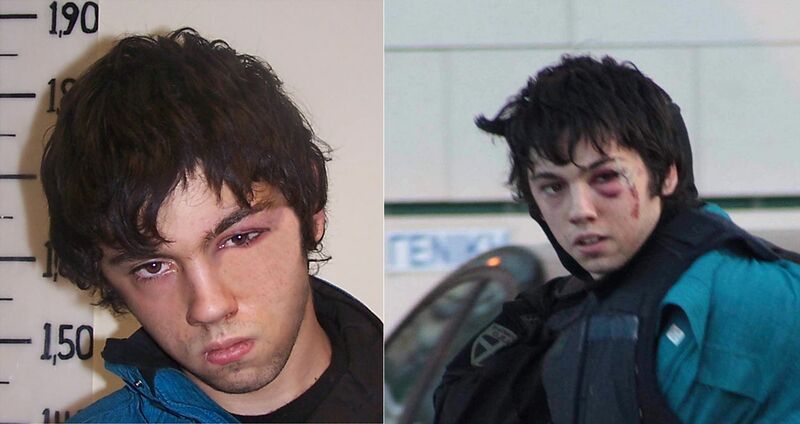 And the Greek police are refusing to answer questions about his treatment. On Tuesday, the The Irish Times published my article on the 29-year-old Egyptian national, who was abducted and tortured by his baker employer on the island of Salamina. The article was the most read article on the online edition of the The Irish Times that day and was shared over 1,400 times on Facebook and tweeted almost 400 times. Hopefully, this will help Walid get the justice he deserves. The piece detailed the shocking treatment Walid endured at the hands of his four captors, but also wrote about how he was detained for four nights in a police cell after the attack. Earlier, when he was taken to hospital, medics said they had no reason to keep him in. During his time in police custody, he says he received no medical treatment, apart from some paracetamol. On Monday morning, I sent an email to the press office of the Greek Police containing five questions relating to his treatment. On what grounds was Mr Walid, a victim of a brutal ordeal, detained? Did he receive any medical treatment during his attention. If so, from whom. If not, why not? On what grounds was he released on Thursday? How much of the money allegedly stolen from Mr Walid by the alleged perpetrators has been returned to him and when did this happen? Will Mr Walid be allowed remain in the country until a trial against the perpetrators is held? When I followed the email up with a phone call, I was informed by the press office that, as I was writing for a foreign newspaper (I should point out that I am a member of a Greek press union), I had to submit my question via the secretariat general of information and communication/secretariat general of mass media, as the former press ministry is now known. So, I duly forwarded my original email to the general secretariat, and was subsequently informed by an official there that the police would need two full working days to answer my query. Even though that meant the answer would come through after my Irish Times deadline had passed, I nevertheless requested that my questions be answered. The Press Office of the Hellenic Police has just informed us that the case of Mr Walid is no longer in their jurisdiction, since the brief has already been filed to the District Attorney’s office. So, they won’t be able to answer your questions. So there you have it: the Greek Police claims that foreign correspondents must submit questions via the former press ministry and that it takes two working days to process queries. It was a very disingenuous answer, as other foreign correspondents I have asked say they never heard of this procedure. They say they call the police spokesman directly for comment. With rules like this, the Greek Police can avoid answering any pressing question from a foreign correspondent on the behaviour of its officers. A cynic would say they have designed bureaucratic procedures to avoid answering tough questions. Do similar restrictions exist in other countries? Update 1: The above post was written in a a hurry. It is true that the case is now before the courts. On Thursday, November 8, the baker and his alleged accomplices appeared before an examining magistrate to present their testimony and were subsequently released on restrictive conditions. On Friday, November 9, the victim, Walid Taleb, appeared before the magistrate for the same reason. So when I submitted my query on Monday, November 12, the police must have known about this. It was general knowledge after all, having been reported in much of the country’s press. Why they continued to insist on a two-working day right of reply to state this is most peculiar. The only reason I can think of for the delay is that they didn’t want to see the sentence “We are unable to answer your questions” appearing in the article. Update 2: I neglected to mention what my five questions to the police were. I’ve now added them to the blog post. Update 3: While the case is before the courts, it’s important to remind ourselves what the justice system will be looking at: the events leading up to Walid’s abduction and his 18-hour torture. I’m unaware that it will look at what happened afterwards, i.e. his four-night stay in a police cell. That means if the police were to comment, it could have no bearing on the trial against the baker and his accomplices. It certainly counts as the most controversial issue in the debate over the Greek government’s austerity measures – the axing of the so-called δώρα or gifts or holiday bonus from the pay packets of public and private sector employees. Today, Economy Minister Yiorgos Papakonstantinou announced the abolition of Christmas, Easter and summer holiday bonuses in the public sector, also known as 13th and 14th salaries, for those earning above 3,000 euros a month and will be capped at 1,000 euros for those earning less. For some civil servants, the loss to income per annum runs into the thousands. Pensioners have also been hit: their 13th and 14th pension payments have now been replaced by a flat-rate payment of 700 euros (gross). In addition, out of their remaining pensions will be deducted a “solidarity levy for the the poor” (known in Greek as the ΛΑΦΚΑ) of 7-9 percent. As all public sector salaries have been frozen until 2014, there’s going to be a lot less money in civil servant pockets for the time being. In Greece, all employees are effectively paid their annual income in 14 instalments: twelve payments every month; one payment at Christmas (equivalent to a month’s salary or 25 days’ pay), and a half payment at Easter and summer (each equivilant to a half-month’s salary or 15 days’ pay). In recent weeks, the 13th and 14th salaries have come in for special attention in the world’s press, who invariably have presented them as yet another example of the wastefulness of the bankrupt Greek state, a throwback to an archaic socialist past, specifically to Andreas Papandreou’s first period in office in the 1980s. However, the reality is somewhat different and less dramatic. These payments are much older, in part dating back in law to the immediate post-war period. It’s generally neglected too that that these payments come on top of what count among the lowest wages and salaries in the European Union, and all this in a country where retail prices are generally higher than in the rest of the EU. Nor is the situation unique to Greece. 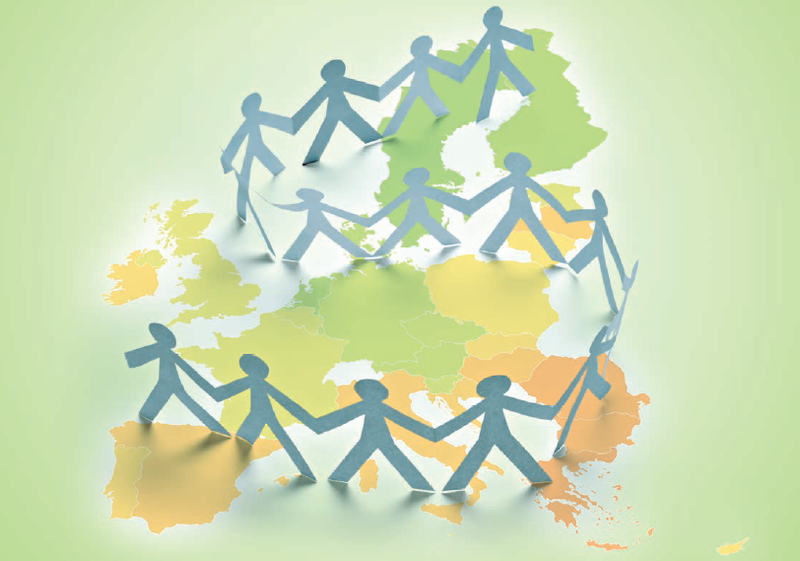 Employees are also paid in 14 tranches in Spain and Portugal. Before the Second World War, holiday bonuses, particular for Easter, formed part of the customary law in certain localities and was contained in the collective agreements in certain industries. According to Labour historian Giannis Kordatos, in the early days of the Greek revolution, in April 1822, officials in the interim administration in liberated Corinth requested an Easter payment (Kordatos, History of the Greek Workers Movement, Athens, 1956, p. 29). Their gradual legalisation of these payments dates back to an extremely difficult period in Greek history. In 1941, during the wartime occupation of the country, the collaborationist government passed a decee (310/1941) ordering that the Easter gift was to be paid wherever it had been customary. Some months after the ending of the occupation, and as the country was descending into a bloody civil war, the government passed a law (539/1945, article 2, paragraph 1), stipulating that employees were entitled to a paid annual leave. In the early 1950s, legislation was passed (Law 1901/1951, Compulsory Law 1777/1951 and Law 2053/1952) allowing the ministers of finance and labour could “jointly decide to give extraordinary financial support at Christmas and Easter, either in cash or in kind”. This practice soon became widespread in the public and the private sector. The Easter and Christmas “gifts” were renamed allowances or bonuses in 1980, under a law (1082/1980, article 1) enacted by the New Democracy (conservative) government. A year later, the new Pasok government passed a law (19040/1981) specifying how the holiday allowances were to be calculated and allocated. In place legally and paid out for almost 60 years and in custom for much longer, Greek employees and pensioners understandably and justifiably see the 13th and 14th salaries as an integral part of their income. 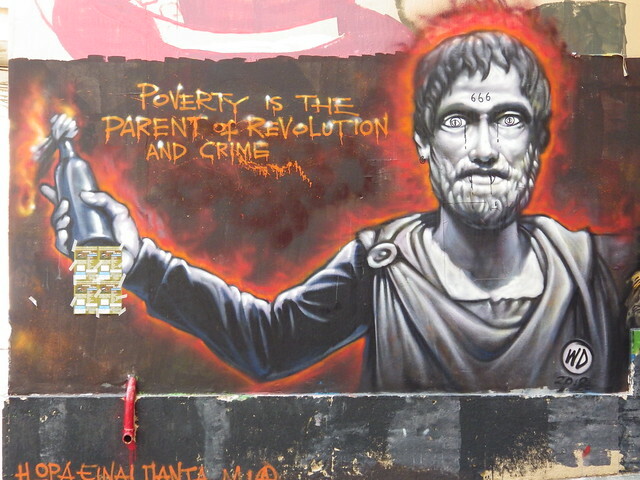 They compensate for Greece’s comparatively low incomes and the absence of a proper welfare system. In one article in conservative Kathimerini on the history of the payments, it was argued that they were “a belated application [in Greece] of the Keynesian spirit adopted since the Great Depression of 1929 in the US and Europe”. That’s the real irony: seeing a measure introduced to help the economy in a time of crisis abolished during another crisis. According to labour law professor Alexis Mitropoulos, since their introduction, in 1945 and 1951/52, no Greek government or private company has questioned the existence of the bonuses. He expected that their abolition “would lead to the dramatic proletarianisation of wide strata of employees and pensioners”. The effects of reduced spending power on what’s left of Greeece’s small time retailers will be immense. When the additional salary payments were legalised, in 1945 and 1951/52, communism held out a better future to impoverished Greeks. Perhaps by legalising them, rightwing governments hoped to kill off worker demands through kindness, much in the same way that Bismarck tried to defeat the social democrats by setting up the social welfare state. Although the local media had claimed that the 13th and 14th salaries in the private sector were also in danger, they seem safe … for the time being. But how many times have we heard the government tell us that they were done with announcing austerity measures? I’ve a strong suspicion that in a few months the troika and employers will argue that the labour market requires standardisation. They’ll see if they can wrestle the bonus salaries from the public sector first; then we’re next. Now that the neoliberals feel safe that there is no alternative to the wonderful, free-market world that they have created for themselves, they feel safe in destroying what they see as undeserved privilages. At the same time, they’ll continue to demand dizzying bonuses for themselves and their friends, despite the financial havoc that their system has created worldwide.